A week or so ago, cycling home on a muggy afternoon, I pulled into a liquor shop. What a marvellous design! What a great chunk of aluminium! You have to hand it to those Japanese. What an excellent brand! I wanted to taste that Japanese beer. Who would have thought it? 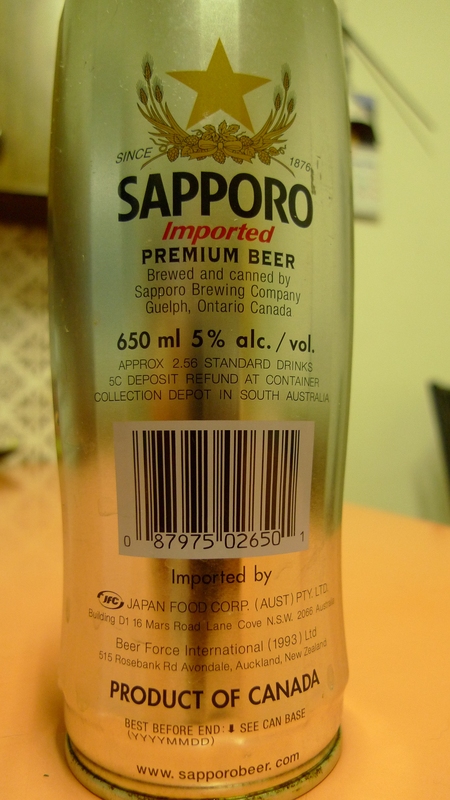 Sapporo Imported Premium Beer, Japan’s oldest brand, is in fact imported to Australia from Guelph, Ontario, Canada. With the benefit of hindsight (and this is an important qualification) I probably should have thought it. A brand is just that: it is just a label. It’s not as if I have ever succumbed to the mystique of other international brands – LV, D&G, Prada etc. In principle, at least, I’m only interested in the brand when it is likely to carry some incidental guarantee (or track record to my knowledge and hence indication of reliability) of the physical quality of the good being sold or the likely reliability of the service provided and likelihood of recourse in the event of any shortcoming (as, for example: if you buy it from a big name store, they are more likely to give a refund if requested without demur). After all, if a brand is worth money to its owner, it must be in part because it enables the owner to sell something for more than it would otherwise be worth. But it’s easy to slip up. 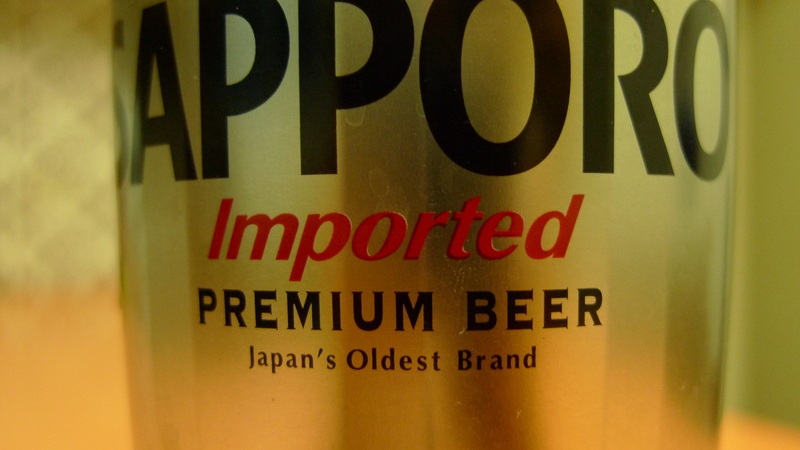 I can’t say if the beer tasted any different because it came from Canada rather than Japan. I just don’t know. It was sweeter and more malty than I anticipated (I was probably thinking of Asahi Super Dry, though I have now seen claims that this beer comes to Australia from Indonesia). But it definitely wasn’t cheap. 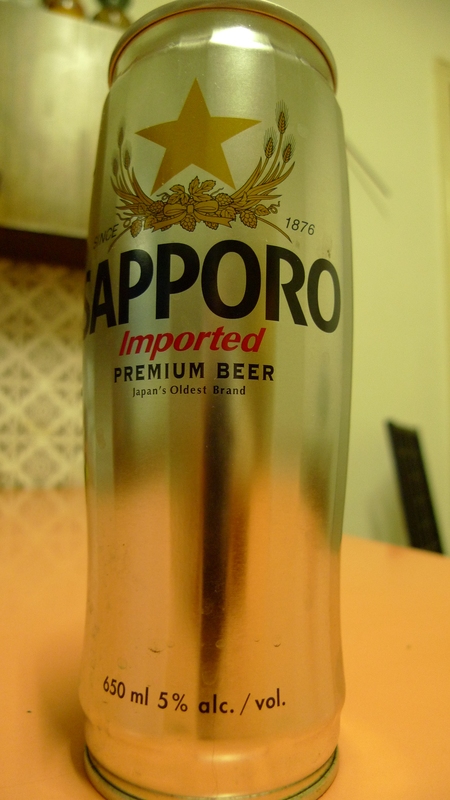 I would not have bought it at all had I known I was just buying a Japanese brand beer and chunk of aluminium all the way from Ontario, Canada. I admit that’s partly a matter of an entirely irrational “idea of the beer,” but it’s also a question of what sorts of beers generally find favour in North America and whether that was the sort of beer I craved at the top of the Annandale rise on a sticky ride home. I definitely think this particular invocation of the brand was misleading and deceptive. It certainly deceived me. This is a greeting with a different meaning in Sydney these days, and by that sense I am jumping the gun. Recently St Miranda has been complaining that people are picking on Tom Cruise. “What’s wrong with Scientology?” she asks. Well, that’s a paraphrase. Sure, he belongs to a religion, Scientology, that seems pretty kooky on face value, but that is his right, as in any country that is supposed to respect freedom of religion. I don’t actually see the equivalence between the bigoted and dogmatic nature of some atheists, and the kookiness or otherwise of some religious beliefs. It’s a false comparison. Nor do I know where this “freedom of religion” thing comes from. Actually, I do know: it’s a US concept. Miranda can’t help that: it comes with the neocon water and she after all was born in the US when her father was working there. As any reasonable neo-con actually ought to know (given their views on human rights) the only freedom of religion in Australia is the freedom from an established religion. The charitable treatment of religion is an indulgence, not a right, albeit that it has also been extended, in Australia, to Scientology. Perhaps I am bigoted and dogmatic. I am definitely more tolerant towards people who retain the religion of their upbringing or even (at a stretch) cultural heritage (ie, atavistic religion) than I am of people who wilfully convert to some implausible belief. Despite a quasi-revival in late adolescence/early adulthood, my own religion is entirely vestigial. And the vestiges are getting pretty shaky. Literally so, in fact. Lazy for doing the washing up and having little other call for flour other than to attract weevils, I bought a shake-in-a-bottle pancake mix. It was a false rush to the past, because the pancakes that the manufacturers had in mind were clearly more the flap-jack variety, whereas my own childhood memories tend to the crêpe. Even that is a trick of perspective. I suspect the crêpe is an innovation at my mother’s generation owing to her allegiance to Elizabeth David. This just shows how low (because close) the horizon of tradition can be. Even more shakily, as I wandered the supermarket aisles looking for the pancake necessaries, I found myself humming Hot Cross Buns! Not perhaps such an egregious mistake, given that I spotted my first buns last week and my first easter eggs this week. As to carne vale, I don’t think I can manage that, but I am going to try to cut back on the vino. That will be more than enough of a struggle. Get thee behind me, bartender!